TOP Year 2023 . 9 Mins Walk to MRT . 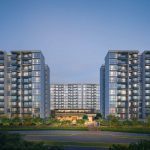 The Iviera condo is a new high-rise residential development in the upscale River Valley area of Singapore. 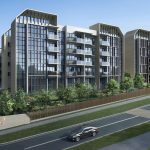 It is being launched by the Macly Group, who specialises in boutique projects that give buyers the chance of owning freehold homes in good locations at a more affordable price. 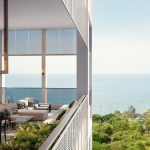 The Iviera occupies a corner site and so enjoys dual road frontages that stretch 30 metres along River Valley Road, and 35 metres along Kim Yam Road. It will be roughly 8 to 9 minutes walk, 600 metres, from the Great World MRT station on the Thomson-East Coast Line. 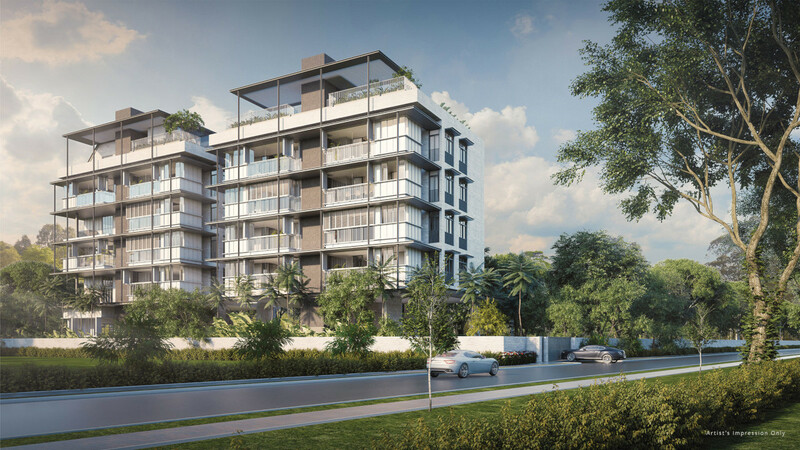 High-floor units at the Iviera condo will have views northwards to Orchard Road, and south-east to the CBD skyline, while lower-floor units will overlook the low-rise Oxley area. 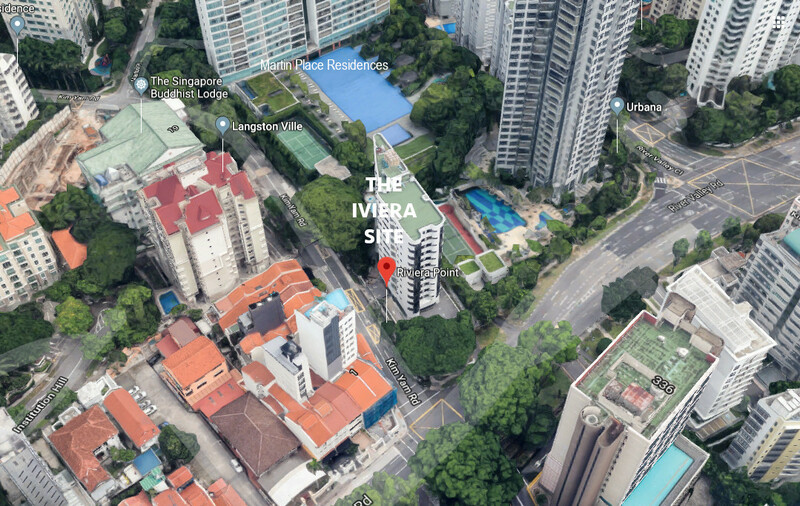 The Iviera site was formerly that of the Riviera Point condominium, that was sold in a collective en bloc sale to the Macly Group for SGD$72 million in February 2018. 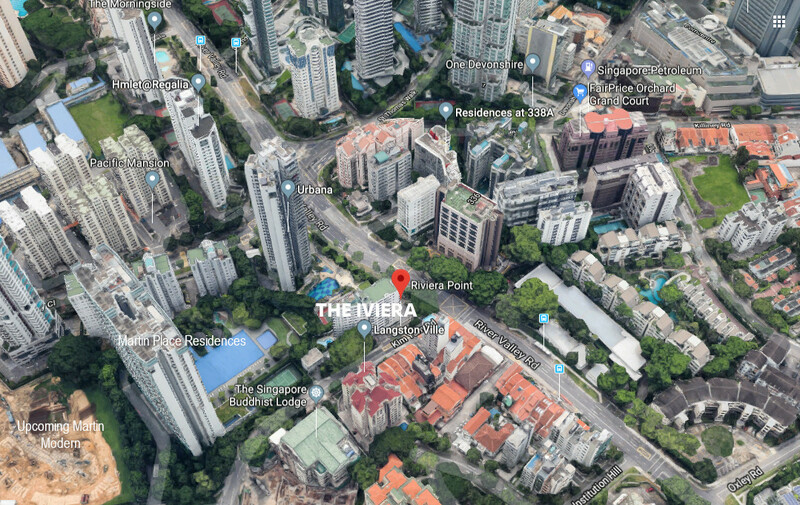 This land sale price, which works out to around $1,461 per square foot land rate, will allow the Iviera to be very competitively priced in comparison to other similar freehold homes in the vicinity within walking distance of Orchard Road. 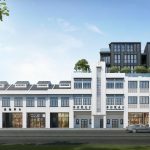 This is likely to appeal to investors, as the River Valley area has always enjoyed strong rental demand, given its proximity to the Raffles Place / Shenton Way CBD, and the lifestyle precincts of Robertson Quay and Clarke Quay. River Valley is in District 9, recognised as the most upmarket residential district of Singapore, around the Orchard Road area. This is an almost exclusively private residential estate on the fringe of the shopping belt. The Iviera condo has the added attraction of being within 1 km of the highly rated River Valley Primary school. It is also within 500 to 600 metres, roughly 8 to 9 minutes walk to Robertson Quay, a favourite dining and wining hot spot along the Singapore River, that is rich in character and ambience. Shopping-wise, the Iviera location is under 10 minutes walk UE Square mall, and 12 minutes to 111 Somerset, and the rest of Orchard Road. At the moment, the nearest MRT station to the site is Somerset MRT station. But come 2021, the Great World MRT station, 9 minutes walk away, would have completed, which is before the completion of the Iviera condo. That should shave walking time to an MRT station by a couple of minutes. The Iviera condo floor plans are still under review pending approval. Kindly let us know via the Contact Form below if you would like the Iviera floor plans mailed to you once finalised. 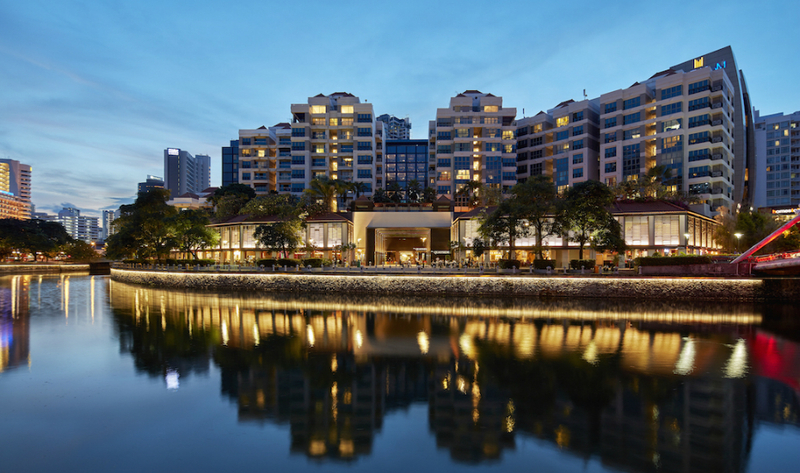 The Iviera Singapore sits within a residential enclave at River Valley, with frontages onto River Valley Road to its north, and Kim Yam Road on its east. It has a rather small and narrow site, but fortunately still enjoys open views all around. Besides its dual road frontages, it faces the rather large expanse of landscaped gardens, facilities and pools of both Urbana to its west, and Martin Place Residences on its south. Hence even low-floor units will be relatively unblocked. Those facing south and west will get to “borrow” the pool and garden views of its neighbours. Those facing north will overlook the Oxley low-rises. And high floor units will get views all the way to the Orchard Road and city skylines. The Iviera showflat is not ready yet. Please drop us a note in the Contact Form if you wish to be notified when the showflat is scheduled to open for the VIP Preview. The Iviera prices are not decided yet. Just drop us a line via the Contact Form if you wish us to keep you updated on the indicative pricing. The Iviera condo’s site area stands at 14,579 sq ft. The land is zoned “residential” with plot ratio of 2.8 under the URA Master Plan. However the previous gross floor area for Riviera Point was about 49,265 sq ft, which equates to a plot ratio of 3.379. So the Iviera development will get to keep that plot ratio. Which means that the purchase price of SGD$72 million for the site works out to a land rate of $1,461 per square foot per plot ratio (PSF PPR). After taking into account all the costs for development, marketing and financing, the break even rate to the developer could go up to $2,100 PSF PPR. For comparative market analysis, the 99-year leasehold Martin Modern just down the road, behind Martin Place Residences, is selling at $2,600 to $2,800 PSF, and is over 67% sold. In general, freehold property is priced at 20% to 25% higher than for leasehold property. But the Iviera pricing could be lower as it is a smaller development. 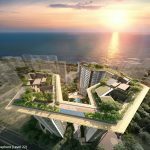 The Iviera condo is being developed by the Macly Group, a home grown property development company established in Singapore since 1987. The Macly Group has a long track record of developing homes, ranging from condominiums to apartments, landed & cluster housing, as well as mixed developments and commercial projects. It was also a pioneer in the “Compact and Affordable” trend. Among the many projects it has successfully launched and completed are Five Nine, Mackenzie 138 (that sold out within a month in 2004), Thomson V1 and V2, Newton Edge, Suites @ Owen, Suites @ Amber, Zedge, Wilkie 80, and Guillemard Edge that sold out all its 275 units within two weeks of its launch in 2012. The Macly Group has also developed projects in partnership with Roxy-Pacific Holdings Limited. These include Natura @ Hillview, Haig 162, and Nottinghill Suites, and mixed developments like Millage and Eon Shenton. 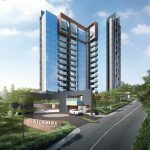 The Group has ventured into the overseas real estate market, and recently launched Skyville 8 @ Benteng in Kuala Lumpur in collaboration with a Malaysian partner Premium Developer Sdn Bhd. 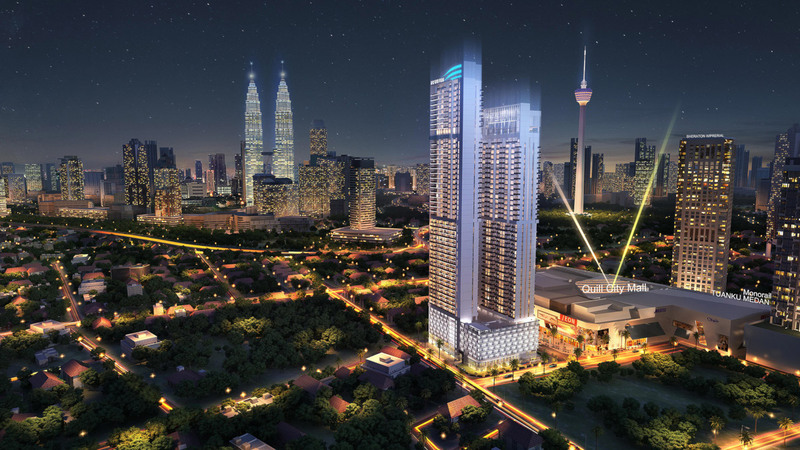 It has also joint ventured with Roxy-Pacific to launch the 800+ unit “Wisma Infinitum” in a prime location within the KL CBD. Macly is involved in the hospitality business through its hotels under the Lloyd’s Inn brand. The theme of the chain is Zen-like tranquility in the city. Location. The site is at 2 Kim Yam Road, at a corner with River Valley Road. It sits on the fringe of the Orchard Road shopping belt, and is also near the Raffles Place / Marina Bay business and financial districts. Shops, Banks, Hotels, Supermarkets, F&B. This part of River Valley is around the Killiney Road area, that leads to the Somerset part of Orchard Road. A 15 minute stroll will take you to Orchard Road itself. Singapore’s longest shopping street lined with lots of retail, lifestyle and dining choices. For a touch of the old, we have the coffee-shops along Killiney Road. However if you want something nearer, head over to Robertson Walk or UE Square Mall, around 650m or 9 minutes walk away. Lifestyle Amenities. The Iviera location is rather close to Robertson Quay too. This is a hot spot for dining and chilling out at, with its wine bars and pubs, bistros, restaurants, alfresco dining cafes, and art houses. It is a favourite with locals and expats, exuding a cosmopolitan feel mixed with the rich heritage and character of the quay right on the edge of the Singapore River. Schools. 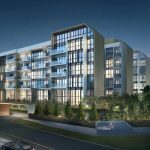 We have River Valley Primary School within walking distance of the Iviera condo location, and certainly within a 1 km radius. While within the 2 km radius, there are Alexandra Primary School at Prince Charles Crescent, Anglo-Chinese (Junior) at Winstedt Road, and St Margaret’s Primary at Wilkie Road. We have international schools nearby too, such as the International School Singapore (Paterson Campus), and the Chatsworth International (Orchard Campus) at Cairnhill Road. Nearest MRT Station. The Iviera location is 800m, or about 12 minutes walk to Somerset MRT station on the North-South red line. But when the Great World MRT station on the Thomson-East Coast Line starts operations in 2021, it will provide a slightly nearer option. Accessibility. The Iviera condo location is within the Core Central Region, which makes for quick access to the major central business centres. It will take roughly 10 minutes drive off-peak to get to the Marina Bay / Raffles Place Financial Districts, which is why River Valley is favoured by tenants. This location also offers fast access to the CTE (Central Expressway) via Oxley Road.